Sheri is the award winning DIY diva behind Confessions of a Refashionista, the fabulously crafty corner of the internet packed with step-by-step tutorials for everything from groovy clothing & accessories for the whole family to funky home decor! This quirky Canadian creator & sustainabe stylista is an avid upcycler who lived a most extraordinary existence in North America, Japan, England, Greece and Germany before finally settling in Toronto after over 20 years spent living & working abroad in DIY, Fashion, Publishing, Education & Entertainment industries . Are you a creative refashionista or thrifty stylista? 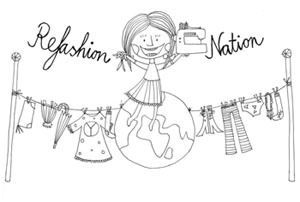 Do you want to encourage others to join the groovy world of refashioning & thrifting?